Takeru had been taken as a slave by a gang of bandits after his friends were taken hostage when he meet Habaki Sara, a small teenage girl with a giant sword. She single handedly takes care of the bandits with the use of her sword, the Tsukukagenohabaki, one of the seven legendary items. Sara is on a journey to find the rest of her friends with the remaining six legendary items. 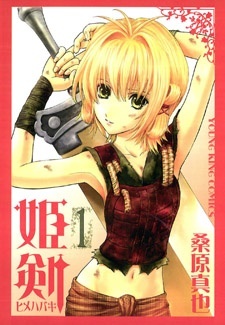 With the help of Takeru and her immensely heavy sword that only her small body can use, Sara continues on her adventure and takes names along the way.